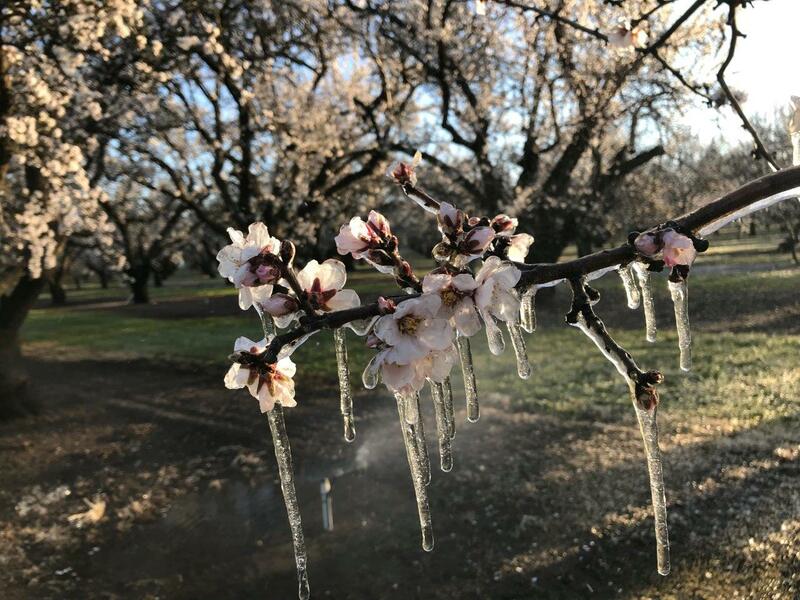 On February 20 through 24, California experienced extreme cold temperatures, causing damage to the 2018 almond crop. Compared to frosts seen over the past few decades, this one was particularly cold and widespread. The worst damage reports have come out of Chowchilla, Madera, Le Grand, and much of the eastern areas closer to the foothills such as Oakdale, Snelling, etc. up to Chico and other parts of the Sacramento Valley. Kern County and much of our area along the west side fared better as temperatures were slightly warmer. Where possible, growers irrigated to slightly warm orchards, often making the difference between severe damage and limited damage. 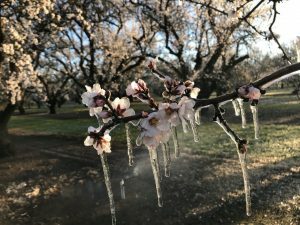 The icicles formed in many orchards just demonstrated how cold it got: down to the low to high 20’s Fahrenheit depending on the morning and part of the valley. Besides the extent of cold temperature and how long it lasted, many other factors affect the degree of damage, the most important being the stage of development. 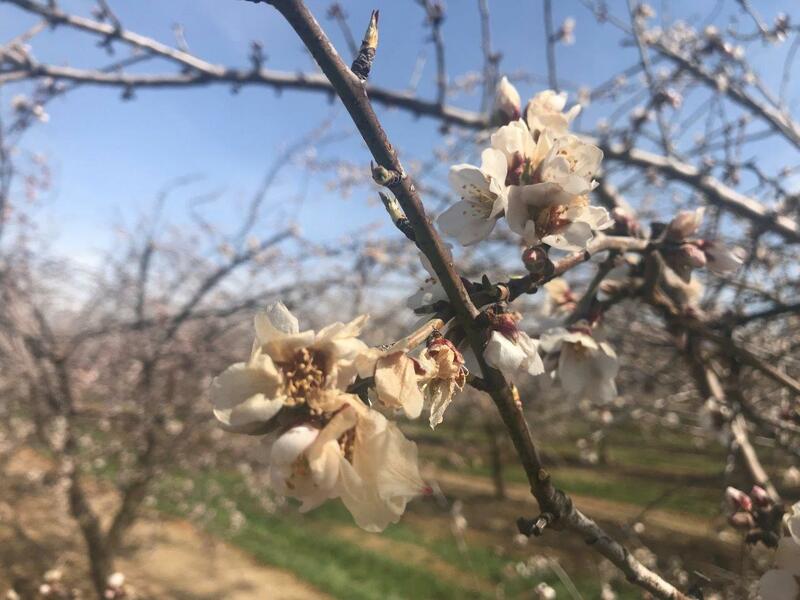 From pink bud (prior to the flowers opening) they are susceptible and the further along, the more highly susceptible, with nutlets being more at risk than open flowers. The Butte/Padre and other later blooming varieties should have undergone less damage due to their early stage of development. Sonora is one of the earliest blooming varieties and likely to have undergone more damage. The size of the trees is also a factor, with larger trees / older orchards faring better. The barer the soil (short grass or preferably no grass), the better in these type of conditions. Wind helps, so some growers even deployed helicopters. 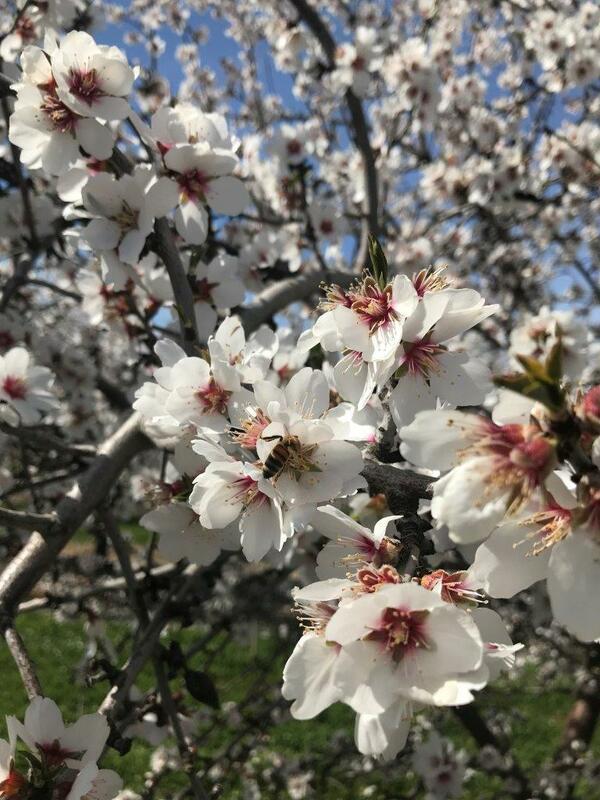 Even in a normal year not all the blooms are pollinated (perhaps 30%), so the trees can handle losing some of its flowers and still set a crop. In looking for a bright side, orchards went into the frost with a strong bloom (many flowers). 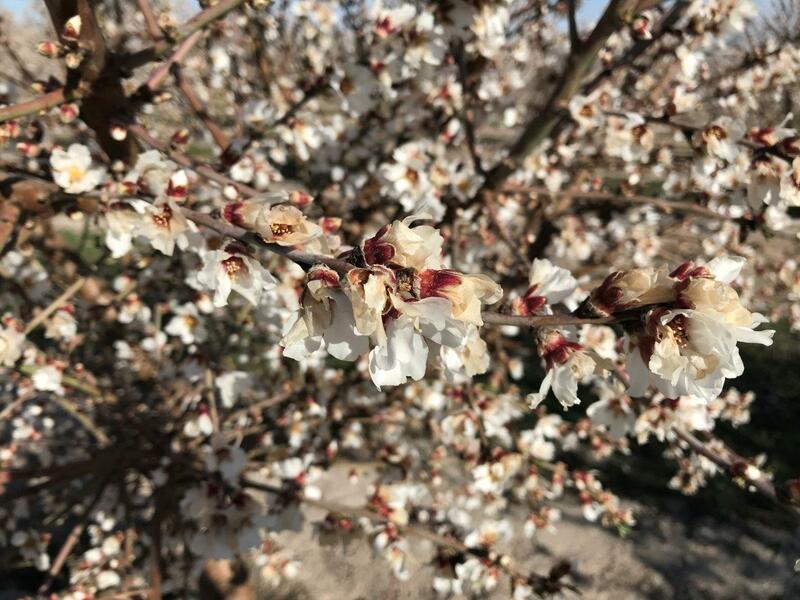 For orchards with limited to moderate damage, the big question is how much of the damaged flowers would have been lost anyways and what can the trees do with what’s left? Will they make up for some of the loss by keeping more of what’s left? It is still very early and unknown how soon the impact of the damage will become fully apparent. 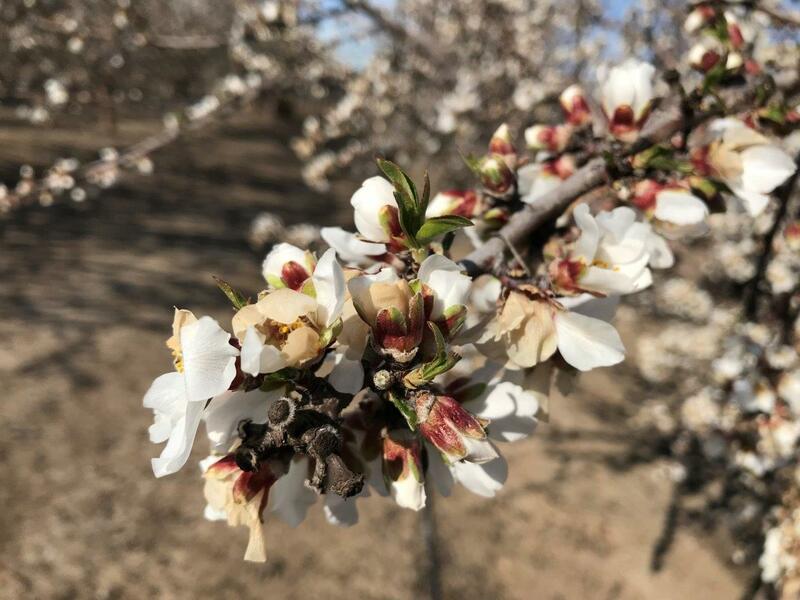 April is when subjective crop estimating really seems to get underway, while March tends to be a roller coaster of highly varied views on the almond crop. In the meantime, sellers remain very cautious and this is creating a firming market for both 2017 and 2018 crop years. Please feel free to send any feedback or questions you have.